Photo provided by Chicken Moto. 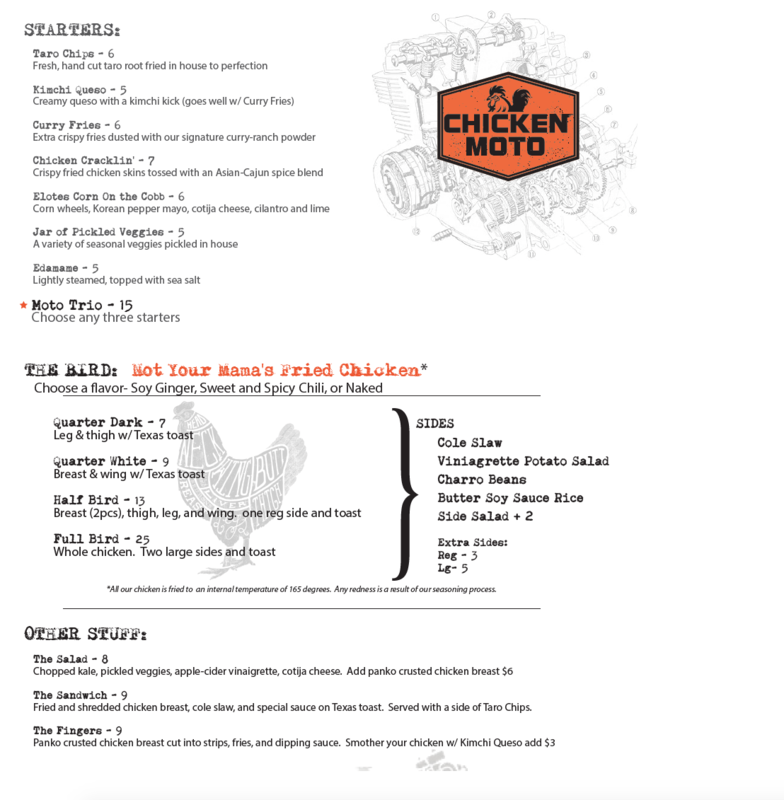 The menu features pickled veggies, fried chicken, and kimchi queso. Last week, we mentioned that a rotisserie and fried chicken concept, Farmbyrd, is open in Plano. News comes today that another fried chicken concept will soon open north of 635. Chicken Moto is located at 2069 N. Central Expressway, Ste. 200. The restaurant will be open daily from 11 a.m. until 10 p.m.